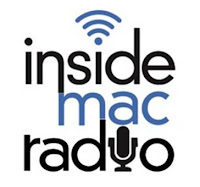 Many thanks to Scott Sheppard and the rest of the crew at Inside Mac Radio. We had a great time on the air yesterday discussing in-wall iPod docking stations and the iPod-ready Apartment Home Media Station. Once it's posted, you can hear the interview as part of their podcast for June 2nd. Here's the link to subscribe in iTunes. These guys really enjoy their work! Whether it's in the clubhouse or in the apartment, we're seeing more owners who want to give residents the ability to listen to their own tunes. 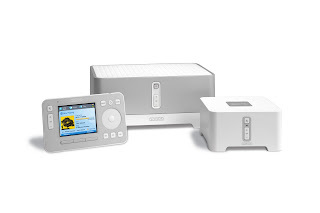 Integrating an iPod docking station into your clubhouse stereo is an easy way to give residents this option. There are several great models available, but we recommend the in-wall versions - that way you know the dock isn't going anywhere. Several docking stations, such as the Channel Vision iBus, even fit inside a standard single-gang wallplate, which means there's no custom holes in the drywall if you want to offer an iPod upgrade option in each unit. Now that's an amenity that a resident can't find anywhere else! Besides the iPod, there are a number of great ways to customize music stations to get the atmosphere you want. One of our favorites is Pandora. Pandora lets you build a entire radio station (actually, up to 100 stations) based on the custom preferences that you want. Salsa, got it. Classical, no problem. Party tunes, done... there are over 2 million tracks in their database, and the service only costs $36 per year. There are several devices available that allow you to play Pandora music through a home stereo without the need for a computer. The first was the Squeezebox from Slim Devices, and the most recent is the Sonos system, which Pandora just announced last week. Custom radio stations are just one way to create a unique atmosphere and give your residents a more personalized feeling throughout your community. As more web-enabled technologies are introduced, and new applications are developed for products like Bluetooth and RFID, the opportunities for personalization through technology will continue to increase. What technologies are you using to customize your property's atmosphere and give it that unique feel that sets you apart? This weekend we celebrate Memorial Day. While I hope everyone has the opportunity to put down their Blackberries and get away from your email for a day or two, I do want you to check out a website that'll be worth your time. Operation Hero Miles was created by Congressman Dutch Ruppersberger in cooperation with a number of airline companies in 2003. The program gives family members of wounded servicemen and women free plane tickets to visit their loved ones recovering at military hospitals across the country. The program is brilliantly simple. Travelers donate their unused frequent flyer miles, which means that Operation Hero Miles gives ordinary folks like you and me an opportunity to help our troops in a way that makes a real difference in their lives. This weekend, the participating airlines will match your donation mile-for-mile, from 6 AM, Friday, May 25th through 11:59 pm, Monday, May 28th. So set yourself a reminder, and donate those unused frequent flyer miles before you leave for the weekend! Visit the program's website at www.heromiles.org for a list of participating airlines. Enjoy your holiday weekend, everyone. Many TVs today are only 3-4 inches thick, and entertainment centers are being redesigned to be far less conspicuous in the home. So here's the question... are you considering electronics trends like this when you lay out units for a new building? In most new construction, space is at a premium. Material costs aren't going down. Together, that means that every inch you can get back without sacrificing rent dollars means considerable savings. So, if you could make each living room 8 inches narrower, how much could that save you in labor and materials? Multiply that savings across 100, 200, 500 units... you're talking about putting real dollars back in your pocket. Many apartment living rooms today are still designed for the old tube TVs, but a walk through Best Buy will tell you that's not what consumers are in the market for. As flat TVs become more prevalent, that extra space simply isn't necessary any longer. Following consumer trends like this is a great way to gauge how you should consider designing your units. Coordinate your architect and your low voltage engineer to make sure that changes are being made thoughtfully... If you're planning for flat-panels, make sure the living room wall is reinforced to support mounting. Consider including additional video and power outlets at eye level. Think about what other connections the typical couch potato or sports buff will need to make to get their home theater up to par. If you really want to sell your renters on technology, include it in the rent. This morning, I could pick up a 42" flat-panel TV on Buy.com for under $850. In-wall surround speakers can be wired and installed for a couple hundred bucks per unit. Are the potential savings during construction enough to offset these costs? Depending on where you're building... quite possibly. These are just a couple ideas, and they certainly won't apply to every project. So let me ask you this... How else has technology affected the way you design a community? 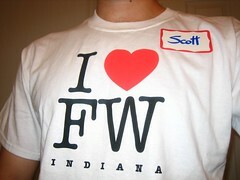 Earlier this week, I had the privilege to speak at the developer's workshop at the Killer App Conference in Ft. Wayne. I was extremely impressed by the turnout, and I was even more impressed with the amount of resources that the city dedicated to the show. Ft. Wayne is one area where Verizon's FiOS service is available, and the city is making a concerted effort to bring its citizens and the surrounding region into the forefront as a model "wired" city. The conference's expo hall was open to the general public for all to see, with a number of displays focusing on high-bandwidth networks and the applications they enable. There was even a community outreach area sponsored by the city – all around, it was a great effort to get local residents excited about the opportunities afforded by the digital lifestyle. I'd like to ask for your feedback as well. Do you have any useful applications or products for developers that aren't yet on this list? I fully realize this is only the tip of the iceberg... there are lots of great applications out there for developers... so c'mon, let's hear about some of your favorites! Pandora – www.pandora.com. Use a Squeezebox from Slim Devices (www.slimdevices.com) to play your Pandora radio stations on any stereo system without the need for a PC.